Pfizer Foundation Grant Program Evalutated by Innovations in Health Care » Linked Foundation » Su Mundo. Nuestro Futuro. Linked Foundation’s Senior Advisor, Anna De La Cruz, co-authored an in depth report on the Pfizer’s Foundation’s Innovation Grant Program (GHIG). 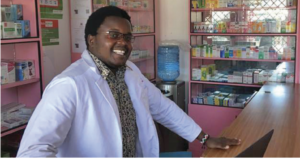 The Pfizer program was launched in 2016 “to support the growth of innovations that improve access to quality healthcare for underserved populations by testing new models, penetrating new geographies, and expanding to different populations”.